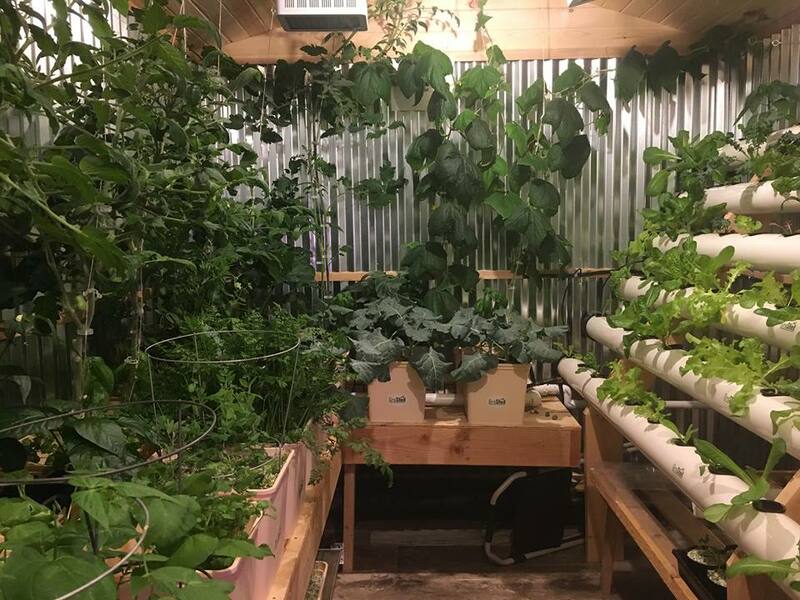 GroShed is a deliverable, prefabricated, fully-automated, “plug, fill, and plant” hydroponic gardening system capable of providing a family or community the opportunity to grow vegetables year-round despite frigid climates. Our GroShed system only requires a standard plug-in for electricity and a water source to fill the reservoir. Unlike a traditional garden, GroShed requires very little maintenance and can be left unattended for days or even a couple weeks without any negative results, allowing individuals and families to produce nutrient rich food in the background of a busy schedule. What causes GroShed to stand out among other hydroponic systems is the engineered efficiency of our Sheds. With the way our building and system is designed, we are confident GroShed can operate down to -30F by utilizing only the heat emitted from the LED grow lights to pump out tomatoes all winter long. GroShed is a one-of-a-kind product that solves many challenges related to indoor hydroponic gardening. Some of those issues are high humidity, odor, excessive heat, large amounts of water leakage, and damage by children or pets. Additionally, indoor hydroponics requires the provision of a heated space inside your home and proper ventilation. GroShed is a stand alone system that controls its own environment outside of your home. GroShed controls its own temperature, light cycles, watering cycles, wind, humidity, and PH levels in the built-in reservoir. About the only thing it doesn’t do is plant and harvest. Additionally, the GroShed is customizable to match its surroundings. Different sizes, looks, etc. to meet the individual client or family’s needs. GroSheds can be designed to match almost any exterior without compromising the interior integrity of the building, enabling gardeners to operate a garden with minimal impact on their outdoor landscaping.